The 712-ABR Single Handle Kitchen Faucet has a one or three-hole installation option and is available in an antique bronze finish. It is a versatile faucet with a 360 degree spout and optional base plate that can be used with a kitchen or bar sink. The dimensions for the 712-ABR are 2 1/8" x 8 3/4" x 13". This faucet is pressure tested to ensure proper working conditions and is covered under a lifetime warranty. 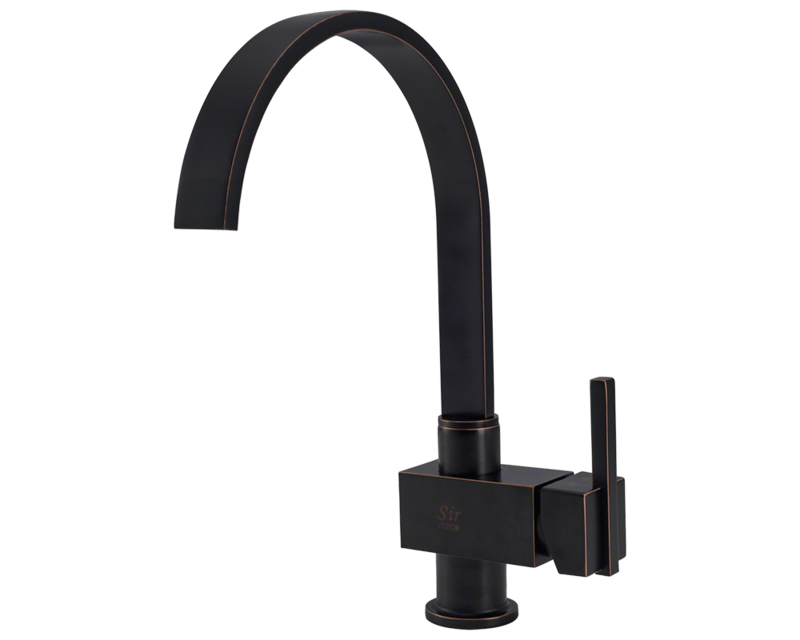 With its unique spout design, the 712-ABR is sure to complement any bar or kitchen sink.